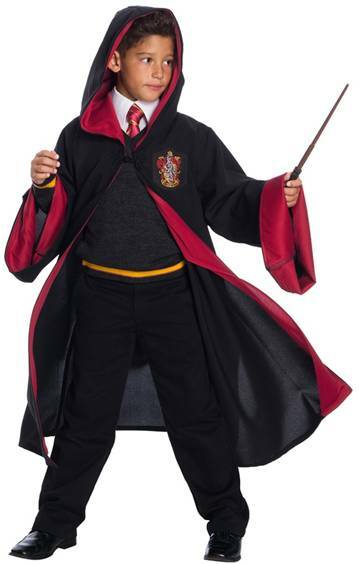 Officially licensed costume from the Harry Potter movies franchise (Harry Potter and the Sorcerer’s Stone, Harry Potter and the Chamber of Secrets, Harry Potter and the Prisoner of Azkaban, Harry Potter and the Goblet of Fire, Harry Potter and the Order of the Phoenix, Harry Potter and the Half-Blood Prince and Harry Potter and the Deathly Hallows). 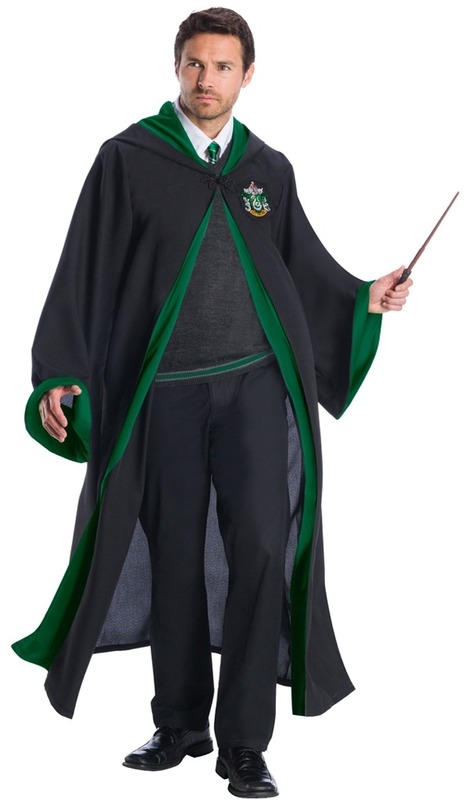 Be the best dressed wizard at Hogwarts with the Slytherin Student Costume. This handsomely detailed robe will complete your uniform and features the signature House colors and crest. 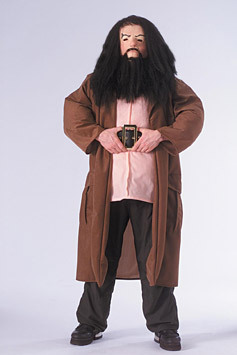 Costume features hooded robe, sweater, dickey and necktie. 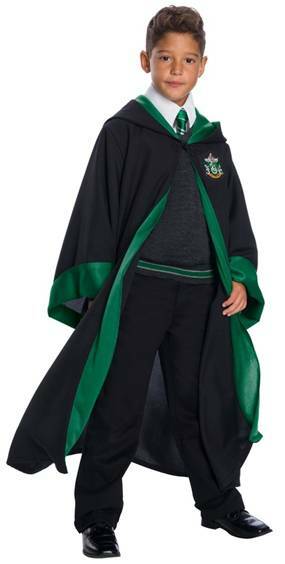 Dress up in the Slytherin robe as the pure bloods, Draco Malfoy, Merlin, Severus Snape, Tom Riddle, Bellatrix Lestrange and Dolores Umbridge, all of whom were students at Hogwarts School of Witchcraft and Wizardry. The main story arc concerns Harry’s struggle against Lord Voldemort, a dark wizard who intends to become immortal, overthrow the wizard governing body known as the Ministry of Magic, and subjugate all wizards and muggles (non-magical people). Choose your House by wearing any one of our Hogwarts robes from Hufflepuff, Ravenclaw, Gryffindor or Slytherin. 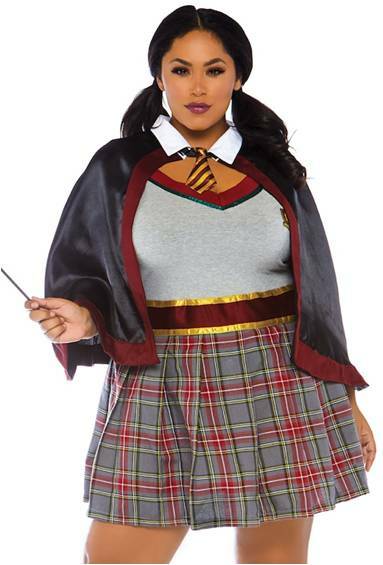 From the world of Harry Potter comes this licensed Bellatrix Lestrange costume for women that includes the hooded dress, cummerbund and mask. 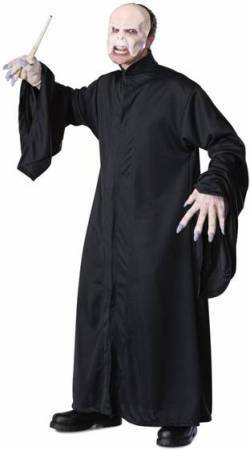 LICENSED HARRY POTTER CHARACTER COSTUME INCLUDES ROBE, SHIRT FRONT AND MASK. From the world of Harry Potter and the blockbuster pre-quals, Fantastic Beasts and Where to Find Them, comes this licensed Newt Scamander costume for boys that includes the coat with vest, shirt front, pants and bowtie. From the world of Harry Potter and the blockbuster pre-quals, Fantastic Beasts and Where to Find Them, comes this licensed Newt Scamander costume for men that includes the coat with vest, shirt front, pants and bowtie. 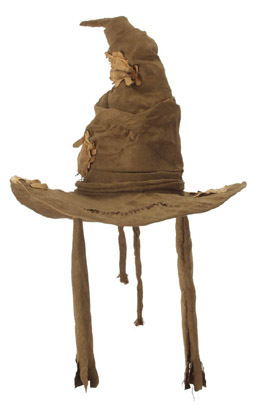 Licensed costume from the world of Harry Potter. Includes robe. 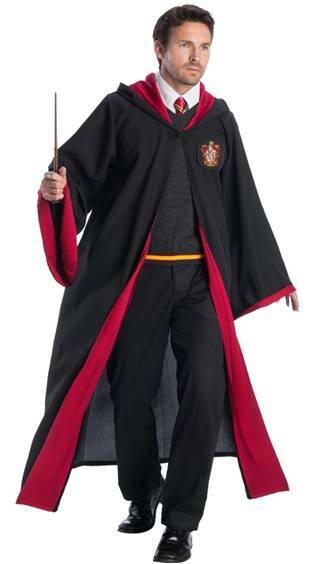 Join your friends at Hogwarts with this Gryffindor robe. 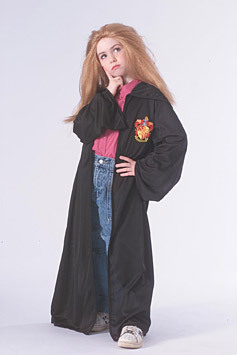 You could be Harry, Hermione Granger or Ron Weasley with this robe. 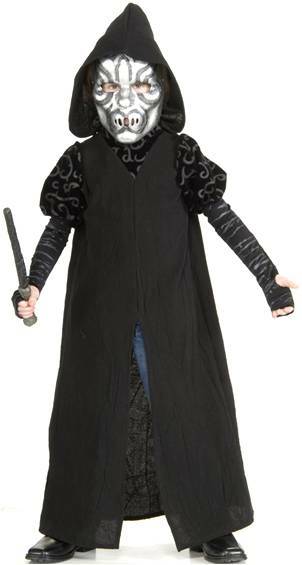 LICENSED HARRY POTTER CHARACTER COSTUME INCLUDES MASK, TOP WITH ATTACHED COAT AND BELT. PANTS NOT INCLUDED. 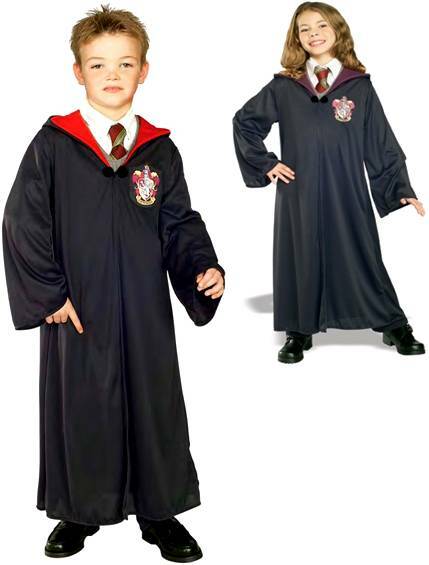 Includes robe with Gryffindor Emblem. Fits Hermione, Ron and Harry or anyone in the Gryffindor house. 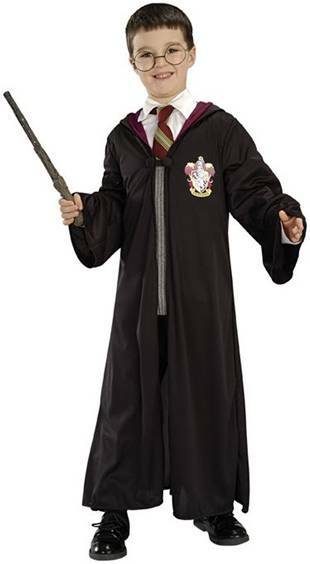 From the world of Harry Potter comes this licensed costume that includes the robe, clasp, wand and glasses. 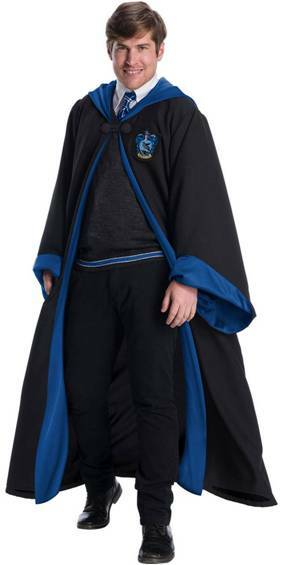 From the world of Harry Potter comes this licensed costume that includes the robe. CHARACTER INSPIRED LICENSED ROBE WITH IMPRINTED LOGO AND CLASP. LICENSED DELUXE QUALITY HAT WITH ADJUSTABLE INTERIOR FOR EASIER FIT. 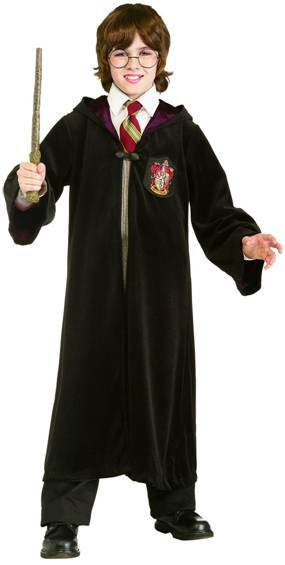 HARRY POTTER LICENSED COSTUME INCLUDES CHARACTER ROBE WITH FLARED SLEEVES AND FACEMASK. HAND GLOVES SOLD SEPARATELY. 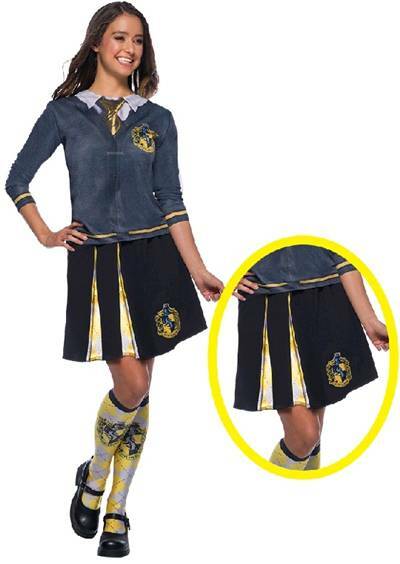 Include robe, glasses and golden snitch. 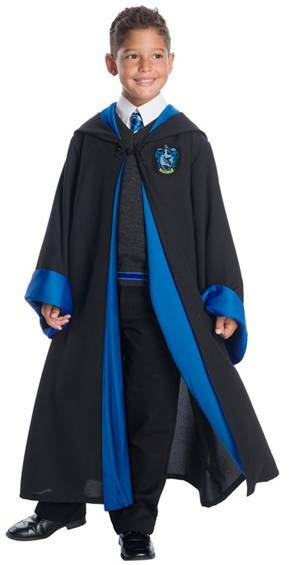 From the house of Ravenclaw comes this costume that includes robe and clasp. Fits both men and women. 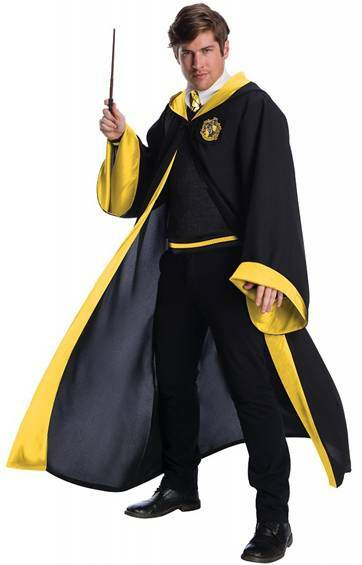 Licensed Harry Potter costume. 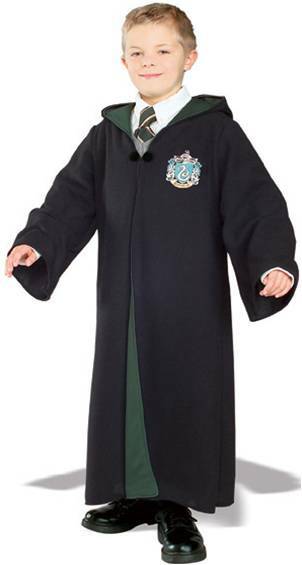 From the world of Harry Potter comes this licensed costume that includes a robe from the house of Slytherin. Includes robe. 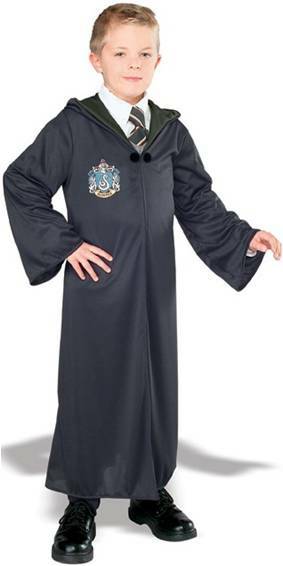 A licensed Harry Potter costume. 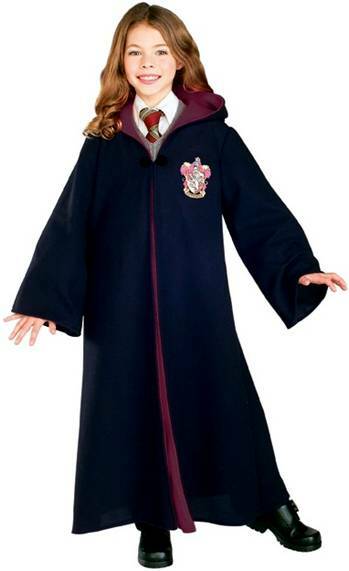 Licensed Harry Potter Hermione Granger costume that includes a deluxe Gryffindor Robe, sweater, skirt, tie and shirt front. 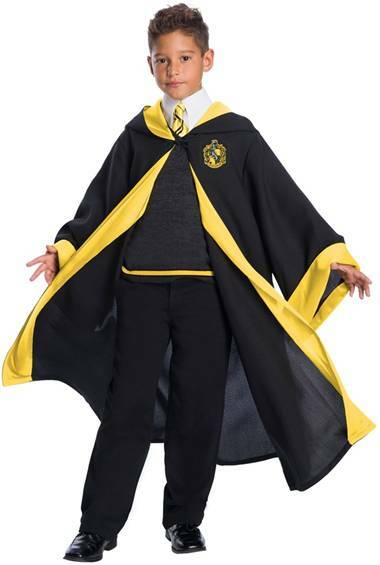 COSTUME INCLUDES DRESS WITH IMPRINTED LOGO AND GOLD TRIM, TIE WITH COLLAR PIECE AND WIZARD HAT.